When your child has the flu or suffers an asthma attack, you can rely on the compassionate care of Marigold Castillo, MD, and the staff at MD1CARE - Gold Pediatrics in Bayside, New York. Dr. Castillo diagnoses and treats acute illnesses on-site to get your child feeling better fast. 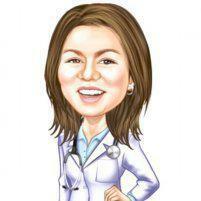 She can address infections, allergies, and other illness that keep your child down and out. Schedule a sick visit today by calling her Bayside office directly or using the convenient online booking feature. If your child is suffering symptoms of an acute illness, Dr. Castillo can diagnose the symptoms and create a custom treatment plan to help them feel better. Dr. Castillo’s office tries to accommodate same-day appointments so your child can begin treatment as soon as possible. Asthma is a chronic condition that occurs when your child’s lungs become inflamed, which limits their breathing. For some children, asthma symptoms are mild, and you can treat them with a prescription inhaler. In other cases, asthma attacks are so severe they require emergency medical treatment. Dr. Castillo can treat your child’s mild to moderate asthma symptoms with in-office breathing treatments to reopen their airways and relieve inflammation. She also creates a custom plan to help your child avoid asthma-inducing triggers. In the event your child is suddenly unable to breathe due to a severe asthma attack, take them to the nearest emergency room or call 911 for immediate assistance. Strep throat is a bacterial infection that causes swelling and soreness in the throat. Your child may complain of severe throat pain that causes difficulty swallowing and have white, patchy spots on the back of their throat. In order to confirm a strep throat diagnosis, Dr. Castillo administers in-office throat swabs that she tests for infection. If your child has strep throat, Dr. Castillo prescribes antibiotics to clear the infection. She can also suggest home remedies, such as over-the-counter pain relievers and ice pops, to keep your child comfortable. It’s important to treat strep throat properly or the infection can spread to other areas of the body and cause serious health complications, including damage to the joints and heart. What treatments are available for seasonal allergies? Seasonal allergies can interfere with your child’s active lifestyle. Stuffy, runny noses, as well as sneezing and itchy eyes, are all common symptoms of seasonal allergies, also known as hay fever. Dr. Castillo may recommend treatments like prescription or over-the-counter allergy medications. She also offers guidance to help prevent allergy symptoms triggered by pollen and other environmental factors, such as keeping windows closed and staying indoors when pollen counts are high. Get your child back to feeling better today by calling MD1CARE’s Bayside office or booking an appointment online.